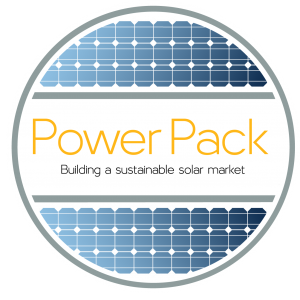 The Power Pack is an innovative, community-based solar market development program first implemented in Milwaukee, WI, as part of the U.S. Department of Energy SunShot Program. The Power Pack works to support local economies by partnering with approved local and regional installers, suppliers, and manufacturers. These partners are an integral part of the program, bringing their industry expertise and products to potential buyers. The Solar Power HourSM, a one-hour public presentation on the benefits of solar, provides opportunities for installers to respond to participants’ questions and generate leads. Manufacturers and supply partners are able to showcase their products and respond to inquiries about cost and performance. Power Pack solar professionals, together with college and lending institution partners, bring the tools necessary for Solar Power HourSM participants to learn about solar electric and move towards installation.